One thing that always make the output of Latvian publisher kuš a welcome read is that, whether it’s in their digest-sized anthology š! 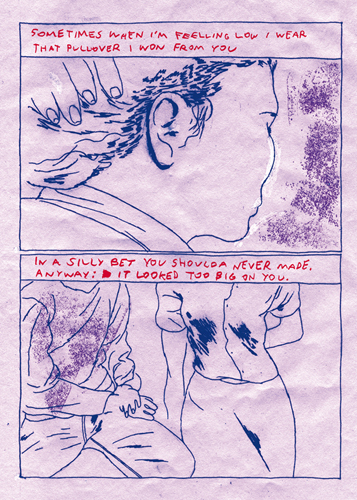 or the mini kuš series of minicomics, many of the creators who contribute to their books have an approach that is largely free of the fetters of North American comics traditions. While American and Canadian artists are by no means entirely absent from their pages there is still a heavy focus on artists who come to the medium without limiting preconceptions of what sequential art should be, or of what is conventionally believed to work on the comics page. A kuš anthology represents not so much a breaking down of the confines of the format as a refusal to acknowledge that those boundaries ever existed in the first place. 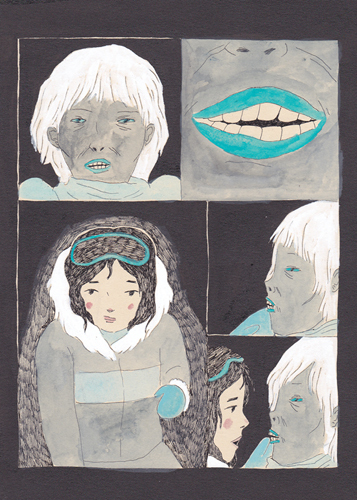 Sometimes that leads to brilliantly inventive uses of comics’ storytelling traits, sometimes it results in glorious failures… but you can always rely on a kuš publication to remind you of the unbridled narrative potential of this art form. Of those entries that caught my imagination ‘East Mill Hill’, Laila Milevski’s grim and downbeat story of a family holidaying in the country, a missing skinny dipper and an eerily repetitive ensuing tragedy, is one of the most traditional and straightforward offerings in #17 in terms of structure and use of the page. But there’s something almost preternaturally disconcerting about the events depicted here, as if there are other forces of fate toying with the cast, that gives it an extra edge. 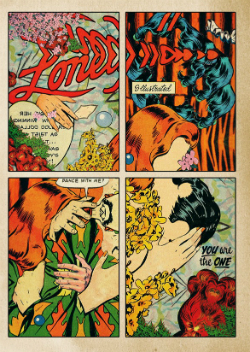 It’s followed up by a story on the other end of the presentational spectrum, French creator Yvang’s ‘Sampleromance, Lovevol & Crushsurc’ (right), a kaleidoscopic, hallucinatory blurring of visual motifs from ‘50s and ‘60s style romance comics – pop art madness incarnate! And Latvian artist Liva Kandevica’s account of an academic who falls in love with his own mind in ‘Braindy’ is perhaps slight in plot but an effective and amusing dissection of intellectual narcissism nonetheless. Aisha Franz (below left) is a relatively new name to me but I will certainly be actively looking out for this German self-publisher in future. She contributes ‘Is She Dead?’ which starts with the rather odd sight of a dead python being fished out of a villa’s swimming pool before evolving into a touching tale of an 11-year-old girl’s doomed crush on a local lad while staying with her aunt for the summer. The deliberately childlike visuals – accentuating the feeling of a younger perspective on the world – give the story an extra layer of authenticity, and while the subject matter may hardly be original it’s still a well-executed examination of an old theme. Conversely, Canadian Betty Liang (below right) can’t be accused of a conventional approach to romance in ‘Everest, My Love’ and this carefully paced mix of mountaineering mystery, voyeuristic yetis, and “love” beyond the grave will bring a morbid chuckle to most readers’ faces. There are two stories towards the back end of the comic with a similar haunting quality – a yearning for lost love that is both somewhat irrational and yet inescapably poignant. 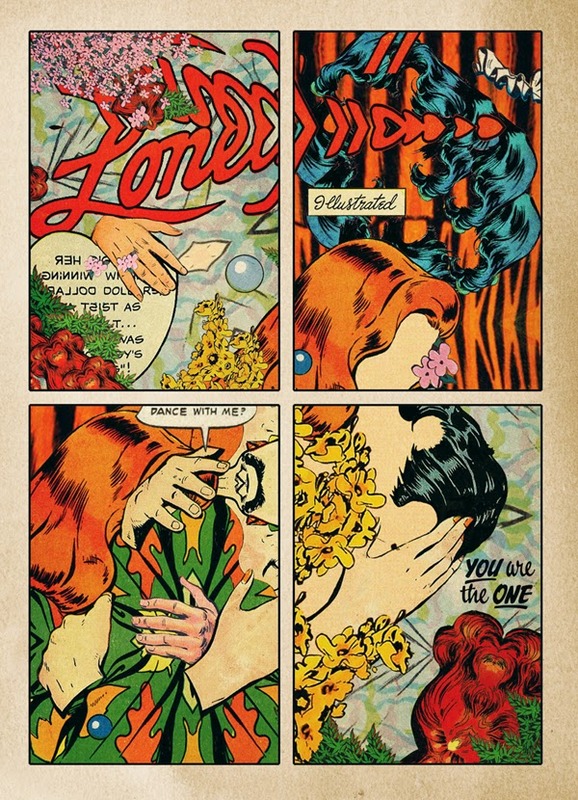 The first of these is Jesse Lucas’s ‘Lady Bug’, a fleeting six pages that is nevertheless a perfectly paced reflection on a brief childhood friendship and contemplation on what could have been. Argentinian Berliac’s ‘Pullover’ with its slightly obsessional ode to a decaying jumper that reminds the narrator of a departed lover evokes both pity and a sense of unease; the dulled tinges of the monochromatic artwork adding to that feeling of intensity and a maudlin desperation. There were perhaps more stories than usual this time round where I wondered if what I was taking from the tale was necessarily what the author had intended – sometimes that was possibly an issue of translation and sometimes because of an occasional obscurer storytelling style. That aside, though, the true appeal of a kuš anthology is, as ever, in that stunning diversity of storytelling/visual approaches on offer in its pages. I’ve barely even mentioned a third of the work available in this issue here but even that small sampling is testimony to the range of material curated by the editorial team. 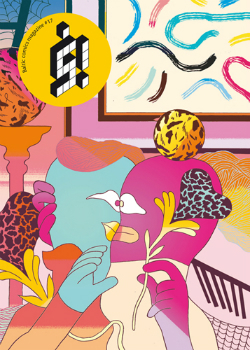 I have said it before and I shall say it again – with its global scope and the exciting opportunities to discover fresh comics voices within its vibrant pages, š! 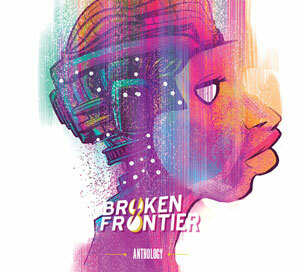 is one of the most important altcomics publications on the international scene. If you haven’t checked the book out to date then you really do need to rectify that situation as soon as possible. For more information on kuš visit their website here. All their comics, including š! #17, are available from their online store here. Staff Picks for February 27, 2019 – kuš! comics, Egg Cream, Punks Not Dead: London Calling and More! Always worth checking out books from kus, Keara! Lots to add to my comics wish list, here!